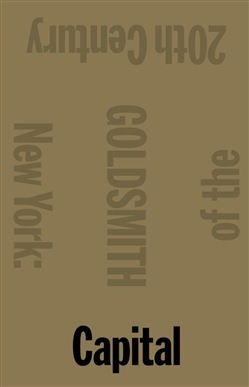 Acclaimed artist Kenneth Goldsmith’s thousand page beautiful homage to New York City Renowned poet and conceptual artist Kenneth Goldsmith collects a massive assortment of quotations about New York City in the twentieth century. This kaleidoscopic montage from hundreds of sources is a literary adoration of New York as the capital of the world, and was inspired by Walter Benjamin’s unfinished masterpiece, The Arcades Project, a compendium of quotations about nineteenth-century Paris. Goldsmith brings together an immense archive of quotations about modern New York from novels, histories, newspapers, memoirs, letters, advertisements and more unlikely sources, all organized into lyrical and philosophical categories. The result is a magisterial and poetic history of New York in the twentieth century, and an extraordinary, one-of-a-kind book of experimental literature. Acquista Capital in Epub: dopo aver letto l’ebook Capital di Goldsmith Kenneth ti invitiamo a lasciarci una Recensione qui sotto: sarà utile agli utenti che non abbiano ancora letto questo libro e che vogliano avere delle opinioni altrui. L’opinione su di un libro è molto soggettiva e per questo leggere eventuali recensioni negative non ci dovrà frenare dall’acquisto, anzi dovrà spingerci ad acquistare il libro in fretta per poter dire la nostra ed eventualmente smentire quanto commentato da altri, contribuendo ad arricchire più possibile i commenti e dare sempre più spunti di confronto al pubblico online.